Last night as I tweeted I saw a name on the twitter trend list â€“ Stephen Gately. I couldnâ€™t make the immediate connection and I let it be. But this morningâ€™s newspaper carried an article on his mysterious death. And when I saw his photo the name rang the bell. 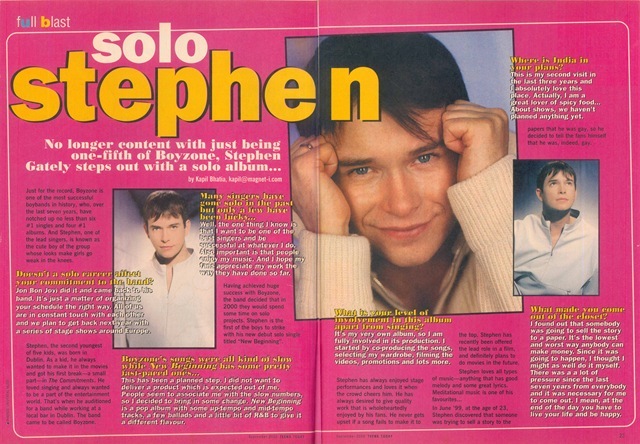 In November 2000, when I freelanced with Teens Today â€“ an India Today publication I had the opportunity to interview Stephen Gately on his India tour to launch his solo album. If youâ€™re interested I reproduce the same below.